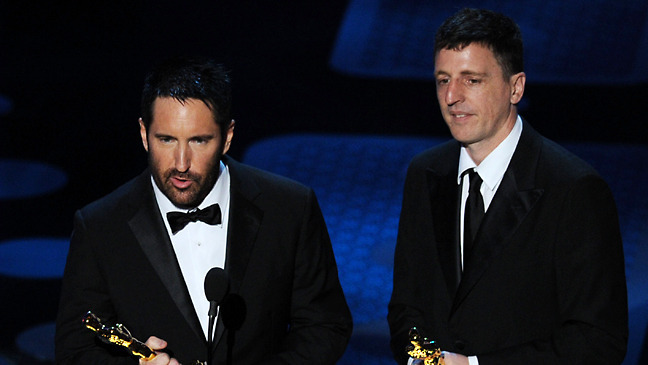 Trent Reznor and Atticus Ross win the Oscar for Best Original Score for The Social Network. Lady Gaga – Born This Way (Audio) currently has 2,832,550 “listens” on YouTube since being posted yesterday. It’s reminiscent of Madonna’s Vogue from 1990 (watch video). Until then, let’s watch this lecture by Oxford University professor Nick Bostrom, part of the Hard Problems in Social Science symposium. But more importantly, what will Lady Gaga wear to the Grammys tomorrow? Such suspense! What Causes Clustering in Social Networks? Lecture by UC San Diego professor James Fowler, part of the Hard Problems in Social Science symposium. Maps of the friendship networks show clustering of genotypes and, after we apply strict controls for population stratification, the results show that one genotype is positively correlated (homophily) and one genotype is negatively correlated (heterophily). I suspect most regular readers are already thinking suspicious thoughts, and with some justification: Genetic association studies on behavioral traits are notoriously littered with false positives, and the more headline-worthy the findings, the more caution we should apply. That’s not to say that all behavioral genetic studies should be discarded outright, but certainly we should be careful to set our threshold high for a study like this one. We present cautionary examples of what can go wrong when assumptions behind statistical procedures are insufficiently examined, even when the analysis is performed by highly reputed and otherwise careful practitioners. Our examples come from a series of recent papers by Christakis and Fowler that claim to have demonstrated the existence of transmission via social networks of various personal characteristics, including obesity, smoking cessation, happiness, and loneliness. Those papers also assert that such influence extends to three degrees of separation in social networks. More from Christakis and Fowler. Does social and cultural evolution affect our genes as much as our genes affect our behavior and our culture? Lecture by Harvard professor Nicholas Christakis, part of the Hard Problems in Social Science symposium.